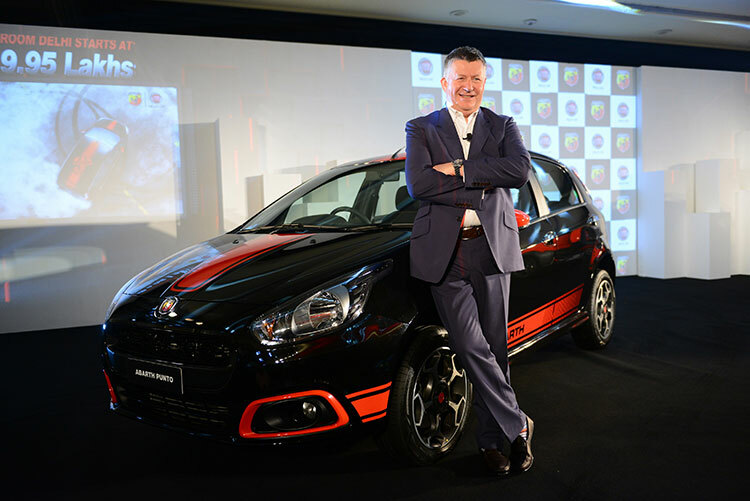 Popular Italian car manufacturer, Fiat has launched its much awaited Abarth Punto. The launched car is performance oriented and track inspired hot hatch. The 1.4 litre T-Jet Abarth engine produces a stunning 145 BHP of power, enabling the hatch to touch the 100 kmph mark in just 8.8 seconds. This is the first hatchback to break the 10 seconds barrier in the country. The sheer punch and performance of the car will raise up the adrenalin and excitement levels of the auto enthusiasts in the country. The all new Fiat Abarth Punto with a sporty engine is designed to thrill and surprises one with its astounding performance. The 5-door hatchback is powered by a 1.4L T-Jet engine that oozes out a massive 145 BHP of power, speeding to 100 kmph in just 8.8 seconds. This is the first mainstream hatchback to break the 10 seconds barrier in the country. The engine comes mated with a 5 speed manual gearbox. The maximum torque generated is 212 Nm@2000 – 4000 RPM with the top speed estimated to be at 190 kmph. The Abarth Punto has also been provided with ABS and EBD which ensures stability at high speeds. 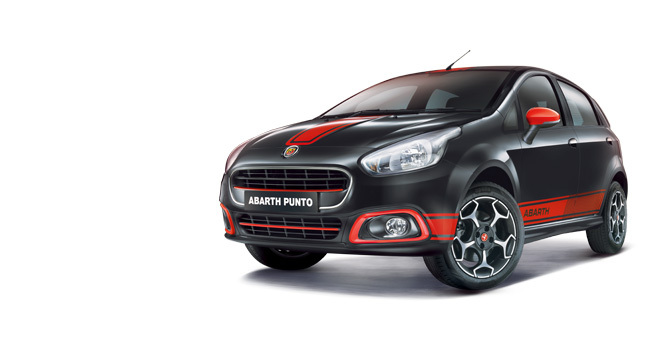 The Abarth Punto carries the same dynamics and flair of the legendary Italian Abarth. The Abarth Punto has been lowered and the ground clearance has been kept at 155 mm. Abarth logos are strikingly visible at the front and rear of the car. This hot hatch will be available in two vibrant colours which are Hip-hop Black and Pearl White with sporty red highlights and racing embellishments. In the Abarth Punto, a lot of chrome has been used in the front grill, fog and rear light housing, door handles and the exhaust tip. The car features large 16” alloy wheels which are designed like a scorpion, giving the car an impressive look. Fiat Abarth Punto hosts features like automatic air-conditioning, soft touch front dashboard, ambient light, rear AC vents and a classy infotainment system. The seats of the Abarth Punto are black in colour with nice red and yellow stitching that is in line with the Abarth colours and logo. The steering wheel holds the Abarth logo. 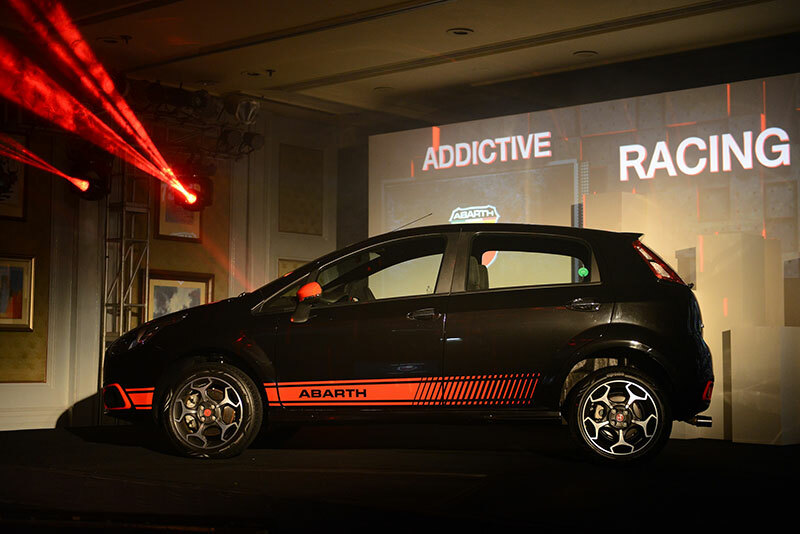 The ex-showroom New Delhi of Fiat Abarth Punto is Rs 9.95 lakhs. The brand Abarth was introduced in India earlier this year by launching the sporty coupe, the Abarth 595 Competizione which made its way to the Indian shores through the CBU route. The cars are made available across 100+ outlets in India.